After three months in beta, finally iOS 8 is out now with a new and improved features like actionable notifications, improved group chat support, new picture and voice messaging features in messages, daily widgets in notification center, continuity and Hands off, Sharing extension and many more. Almost all the Apple device running on iOS 7 will support iOS 8. Here are the list which supports iOS 8.
iPad 2, iPad 3, iPad with retina display, iPad mini, iPad Air, iPad mini with retina display. This iOS is now available as an over-the-air update or through iTunes. 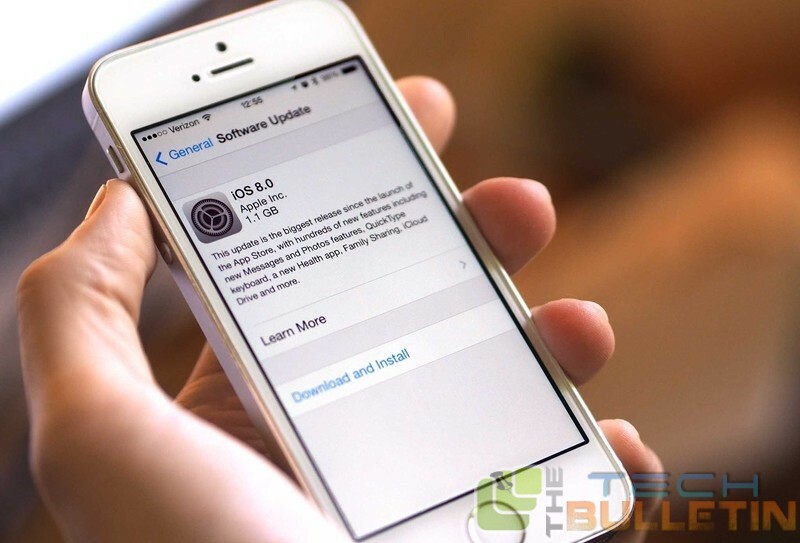 Go to Settings -> Software Update on your iOS device to update right now. Naturally, iOS 8 will come preinstalled on Apple’s latest iPhones, the 6 and the 6 Plus. This update brings you torespond to incoming messages without losing your place in the system, by swiping down on the notification to reveal a quick-reply text box. Quick access to recent and favorite contacts is now accessible in the multitasking view, at the top of the screen. This update also brings you QuickType word prediction bar along the top of the keyboard, to speed up text entry. With Continuity, you can now carry on your SMS conversations across iPhone and iPad. But this feature has been delayed until October, to coincide with the launch of Yosemite. Some of the new features of iOS 8 is Apple Pay, notifications, Short cuts, siri, Home and health, The Keyboard, photo editing, icloud drive and many more. iOS 8 relies on developers updating their apps to support the new technologies, which is happening as we speak. Soon, apps like Facebook will show buttons in their notifications to quickly act upon their content, contextually. Health app is the more powerful when third-party developers integrate with Health Kit to supply the app with more information, there is also possibility to include the third party widgets to notification center up to app includes one. For best keyboard apps for iOS 8 Click Here. Stay tune for more updates.